There is power in believing in your vision. 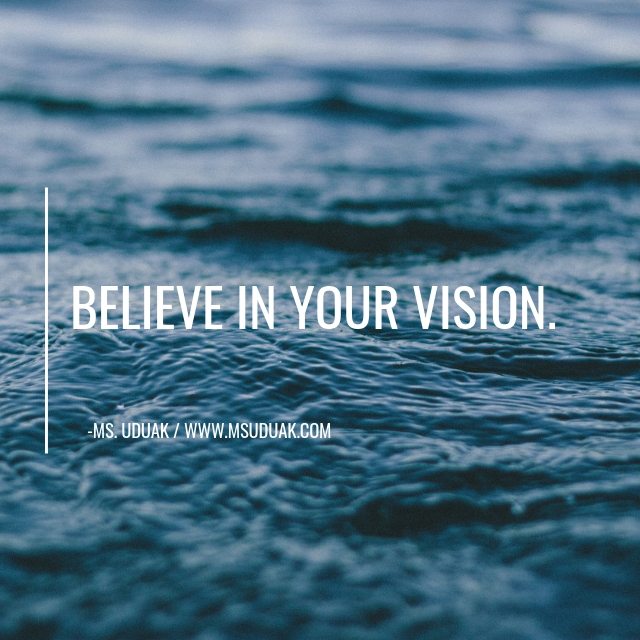 Believe in your vision. Not everyone is given what you have. See it, speak it into existence and get to work on it. Hold steadfast and don’t let anyone derail. Make them believers.